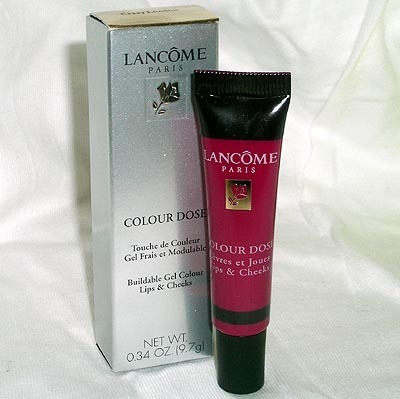 Lancome Colour Dose Crazy London is a lip and cheek stain that I’ve been craving… and (GASP!) I don’t think that Lancome makes it anymore!!! Why I love this product: It’s a great alternative to the red tints – this purplish hued stain looks amazing on fair-haired chicas… and it stays on ALL day, no joke. Sometimes red is a little too extreme, but purple, well, purple is sassy and retro… bring back the 80’s!!! Try it ASAP… before they’re ALL gone! CLICK HERE TO BUY!